Bon and Pon are taking the #twinning game to the next level. Both in their 60s, they prove that love and fashion know no age. It’s no secret that stylish couples hold a special place in our hearts. Show us their cute matchy-matchy OOTDs and they’ll score an instant “like” from us! 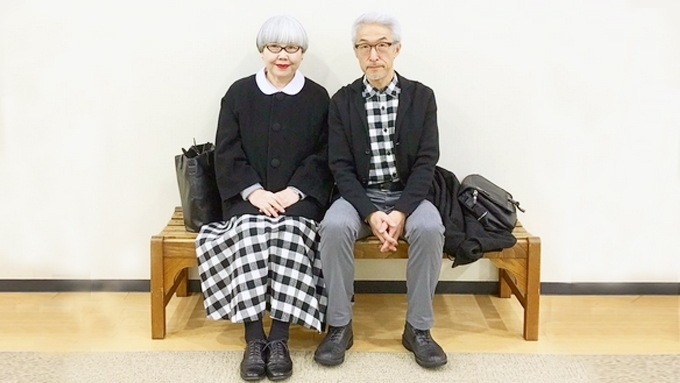 But Bon and Pon, the Japanese couple behind the now-viral Instagram account @bonpon511 (that’s a combination of their names plus their wedding anniversary date, btw! ), are taking the #twinning game to the next level. Both in their 60s, they prove that love and fashion know no age. Even their OOTDs' color story is always on point. Ringing in the new year with matchy-matchy outfits? Sounds like a plan! but have you noticed their socks, too? Down to the smallest details, these two! Gotta love how clever they are at coordinating their looks. Want to know their tried-and-tested trick? Sporting a similar print can seamlessly tie both of your looks together! You don’t always have to take “twinning” literally. Playing with the same color palette works, too! Check out their IG account for more!